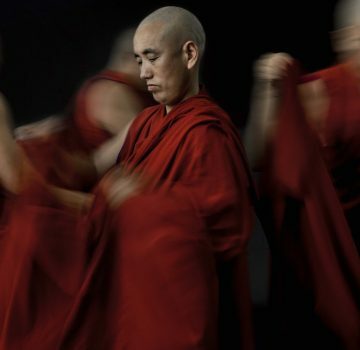 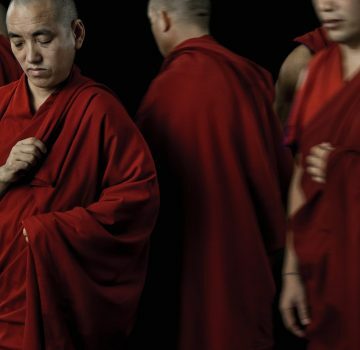 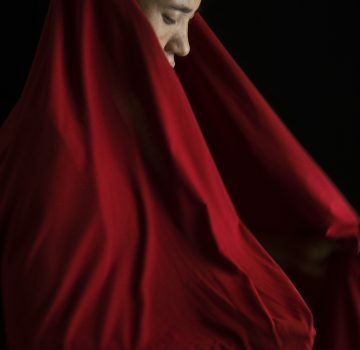 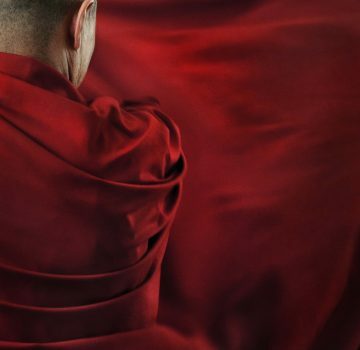 These robes have been unchanged since the time of Buddha, 2,500 years ago when it was an unappealing colour and attire intended to strip the wearer of his identity. 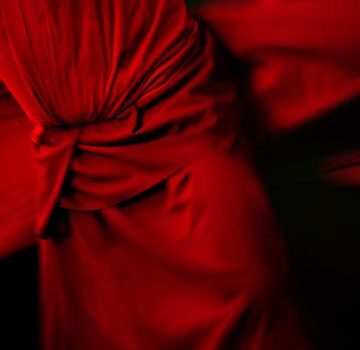 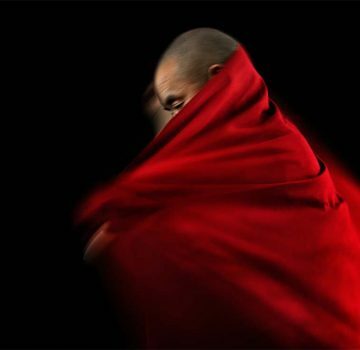 It is said that if Buddhism disappears from the universe, the colour red will also disappear from the face of the earth. 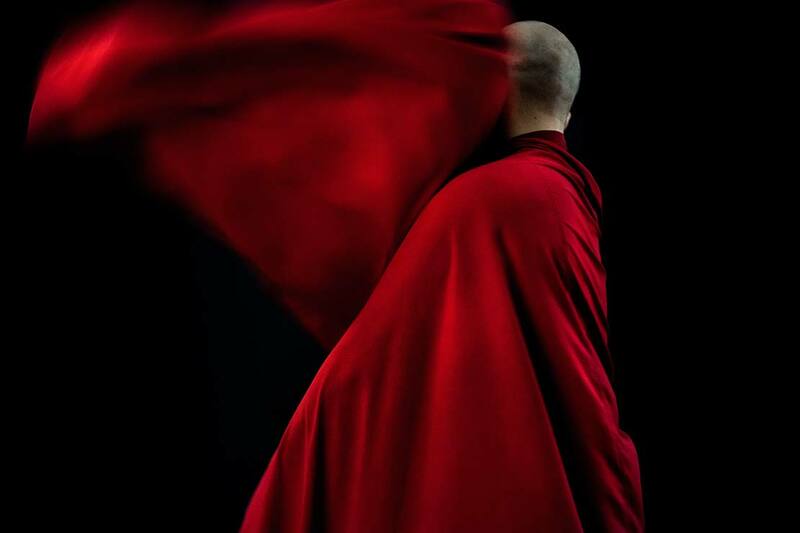 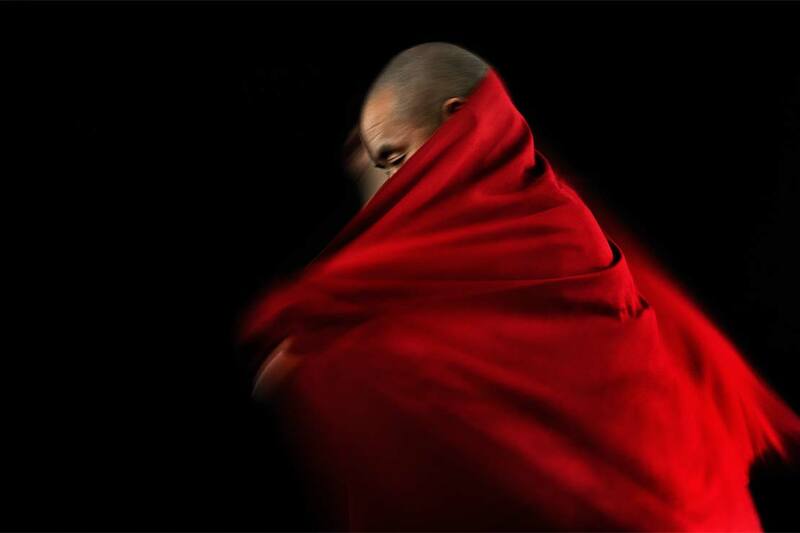 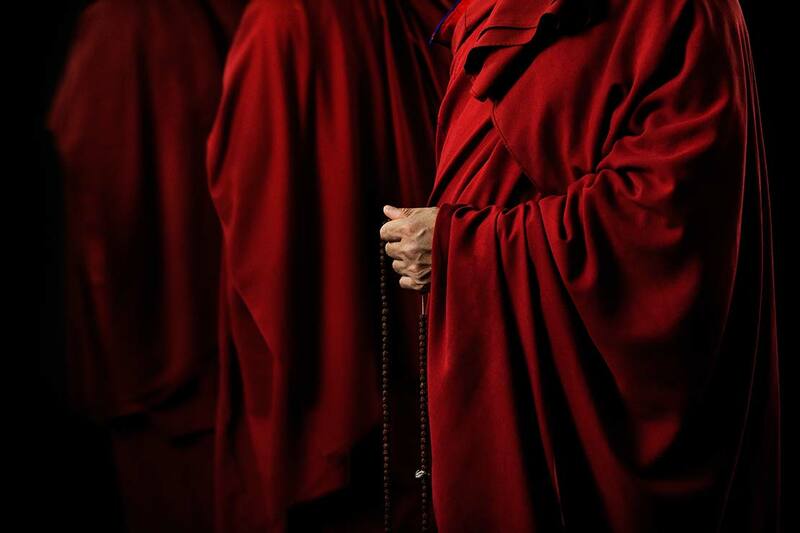 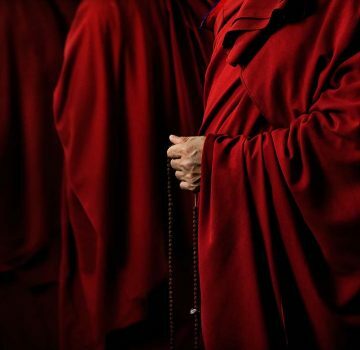 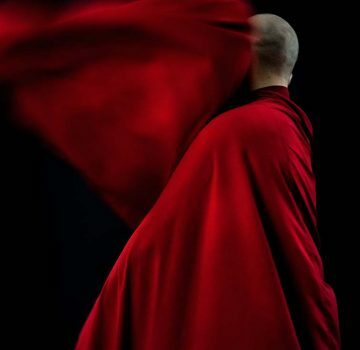 The paradox now of course is that the colour is fashionable and that monks robes are iconic and far from making them disappear, they stand out as a kind of uniform. 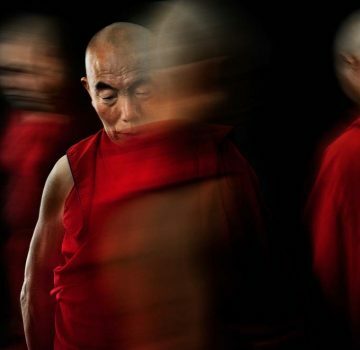 The idea behind the images was to capture this paradox. 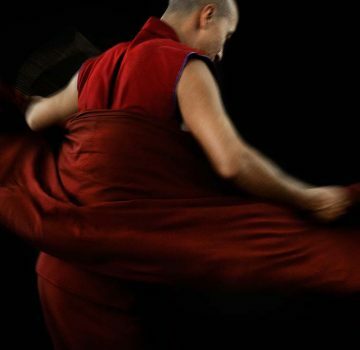 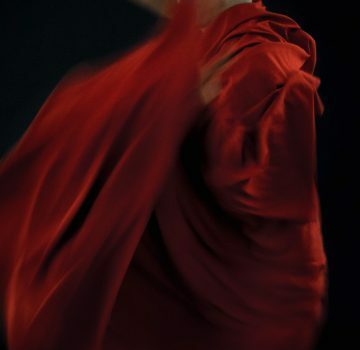 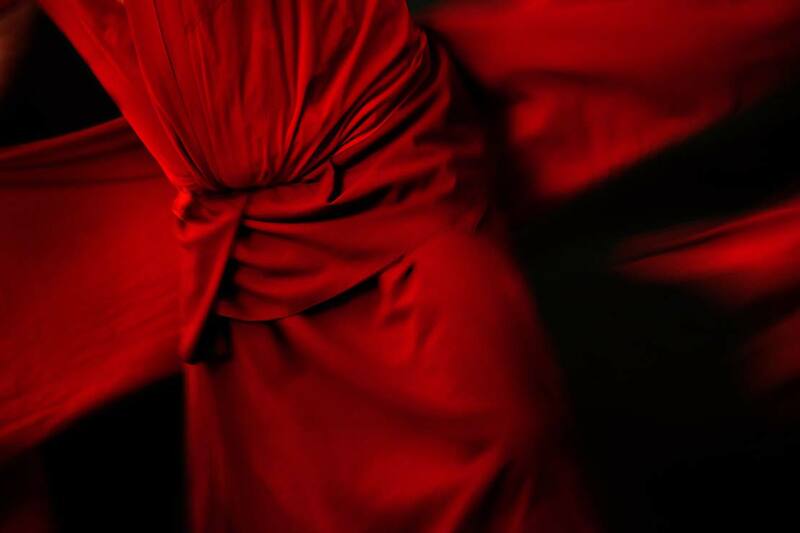 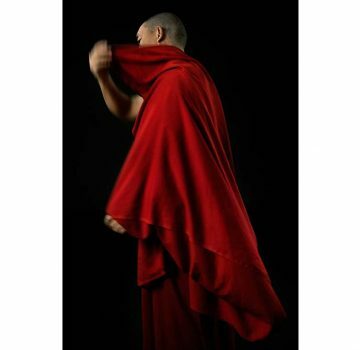 Of how the robes are both an item meant to strip them of their identity on the one hand and yet on the other hand they are virtually all that a monk has, making them such a valued possession. 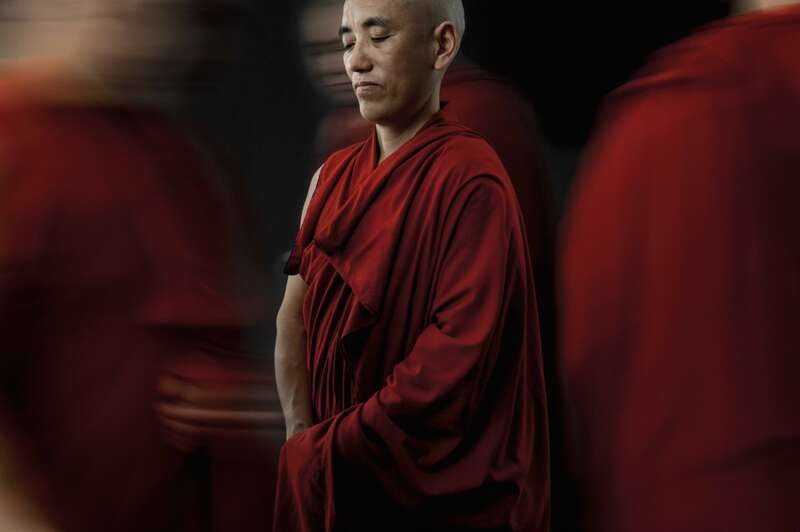 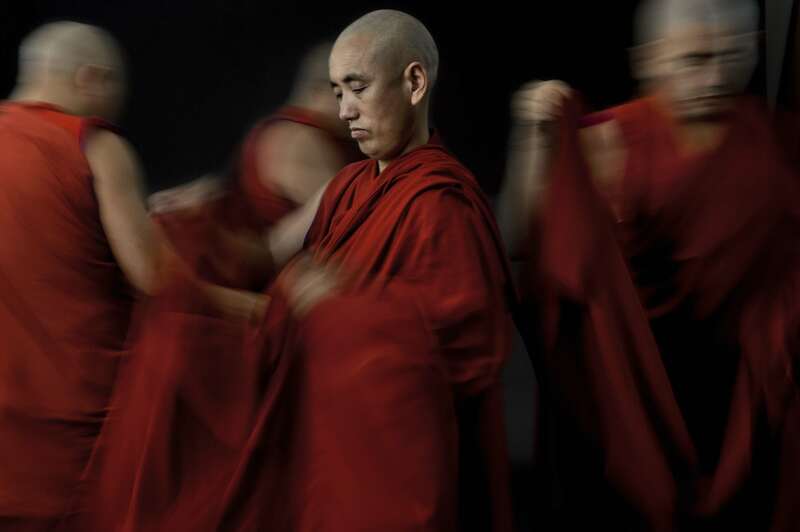 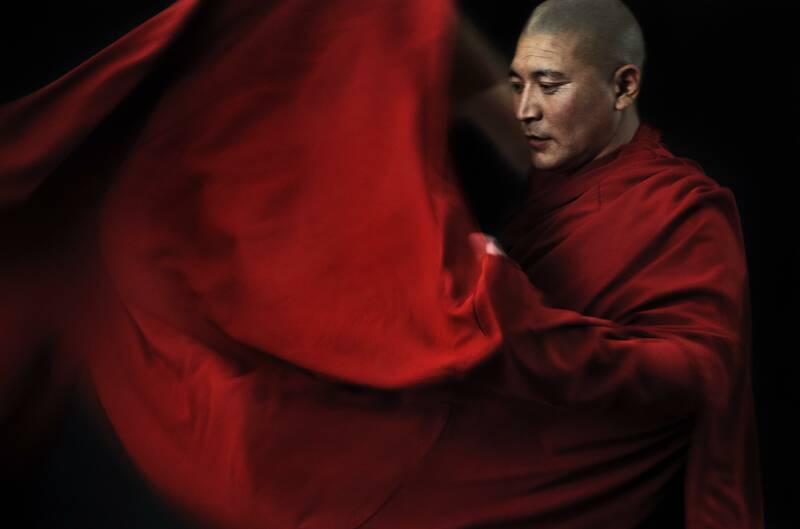 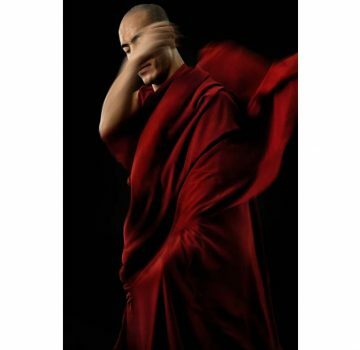 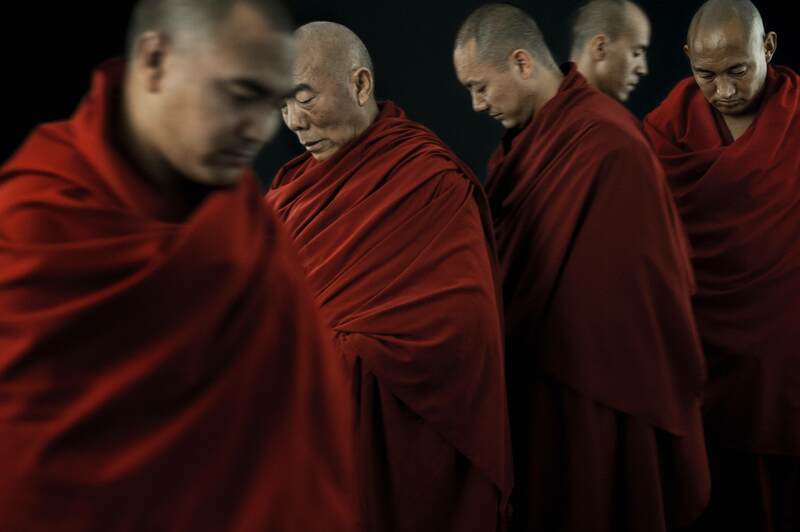 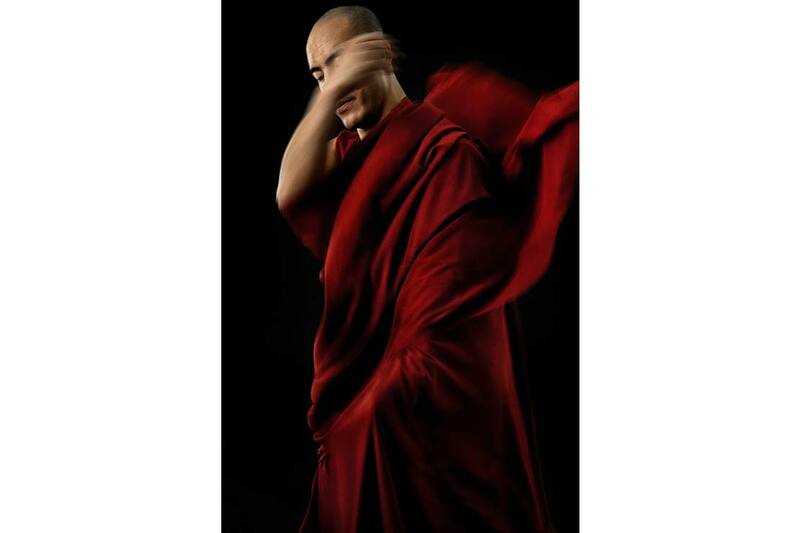 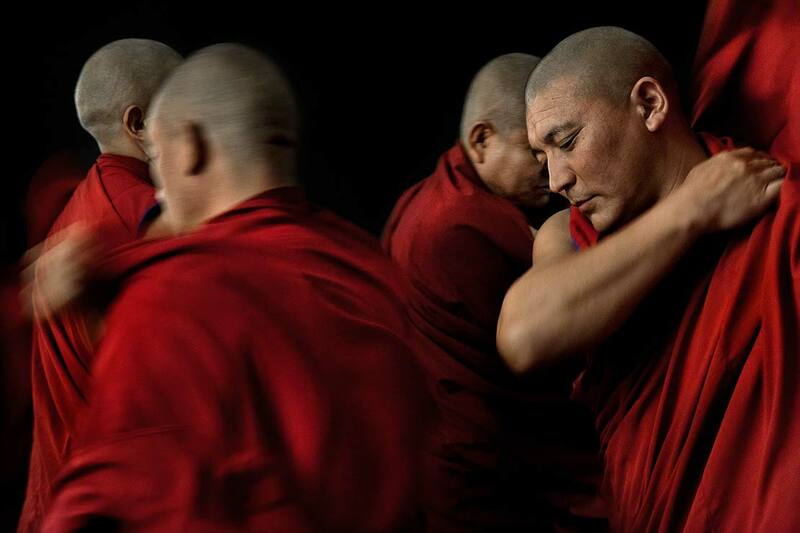 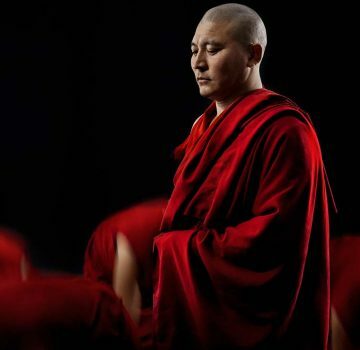 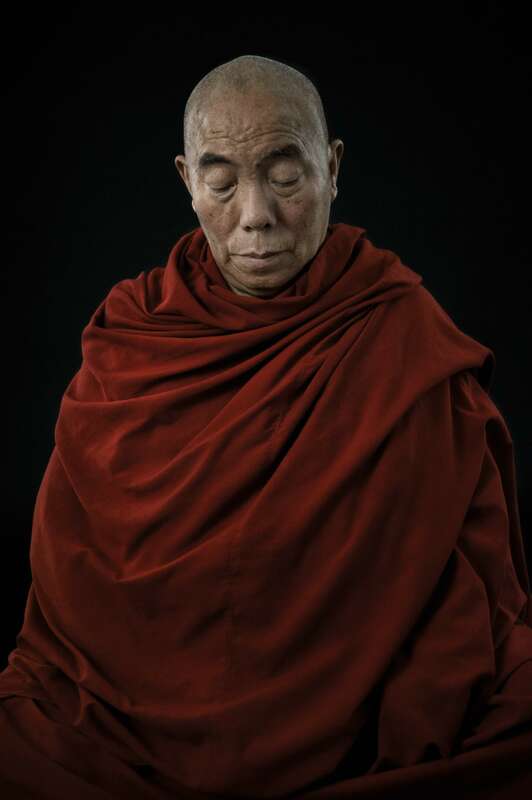 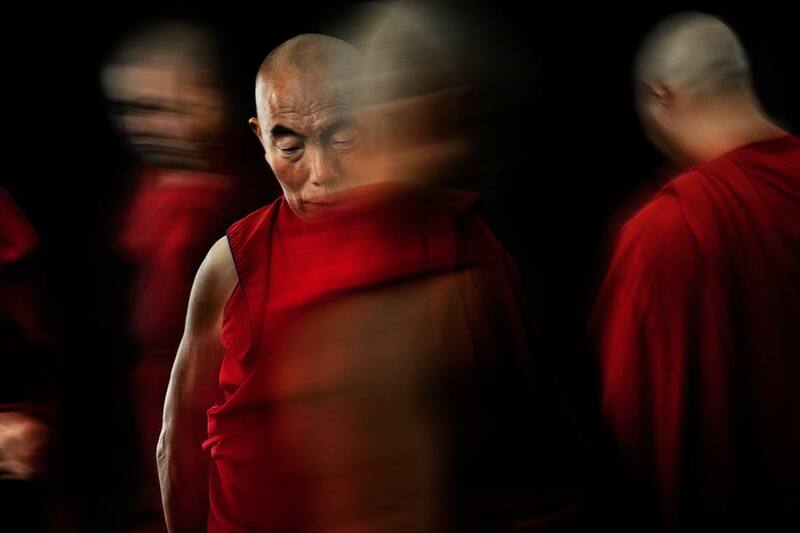 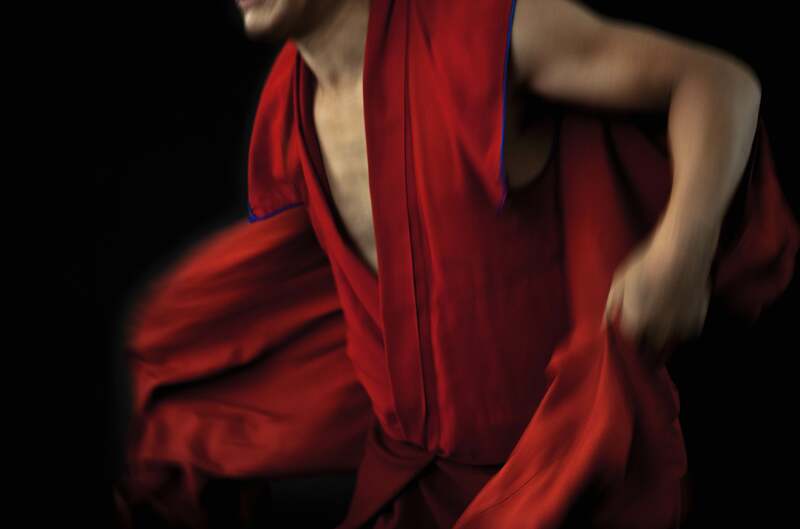 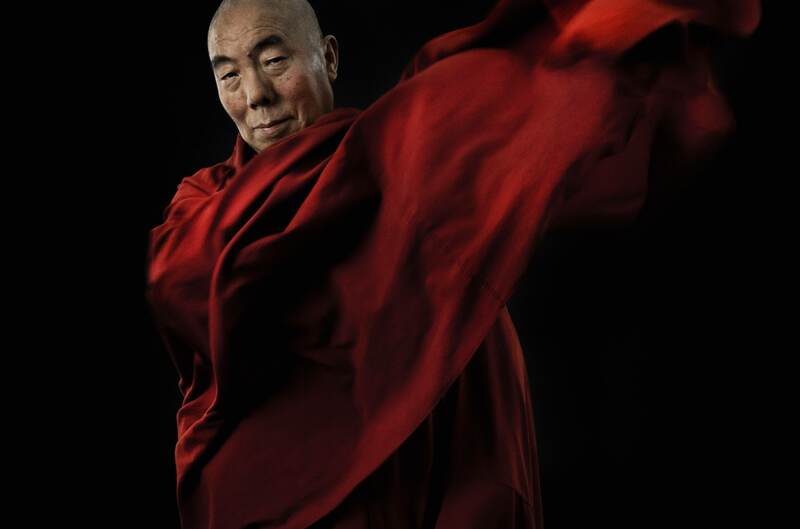 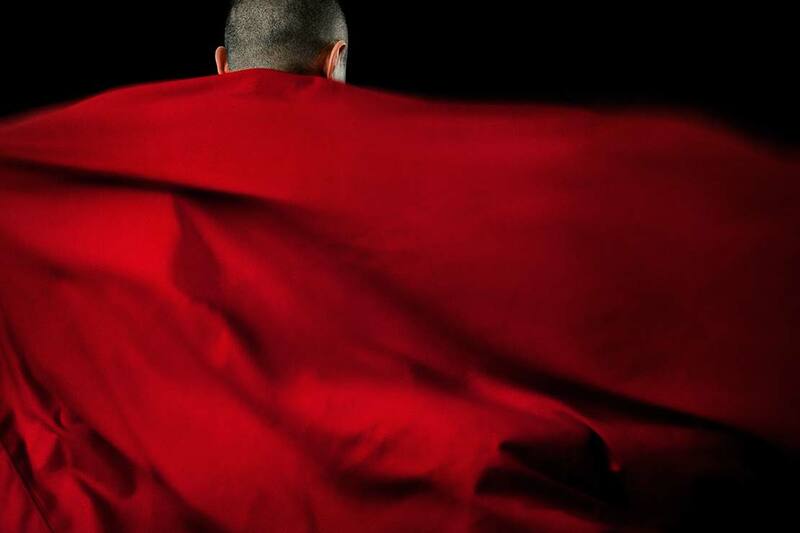 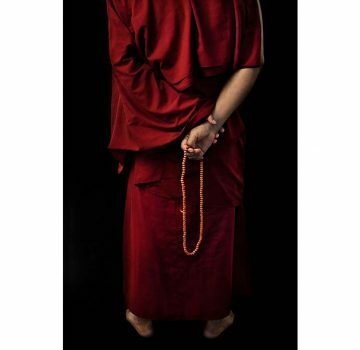 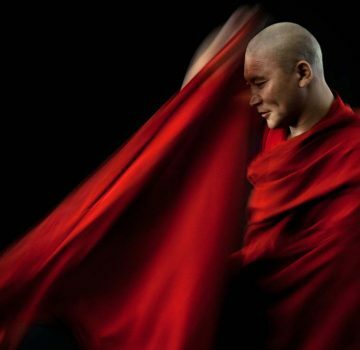 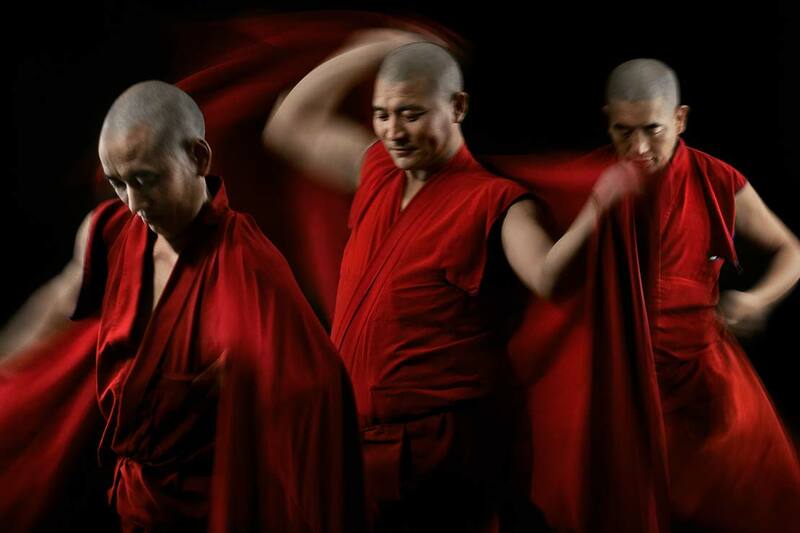 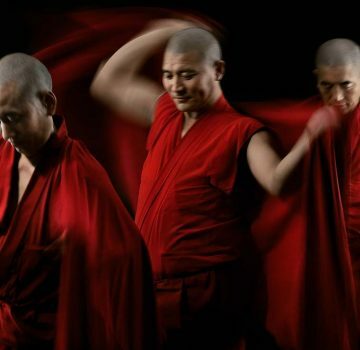 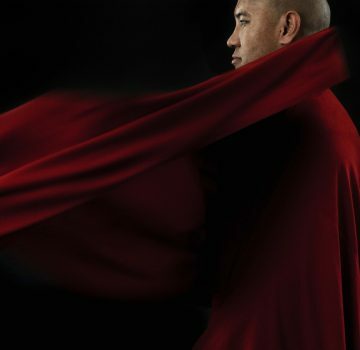 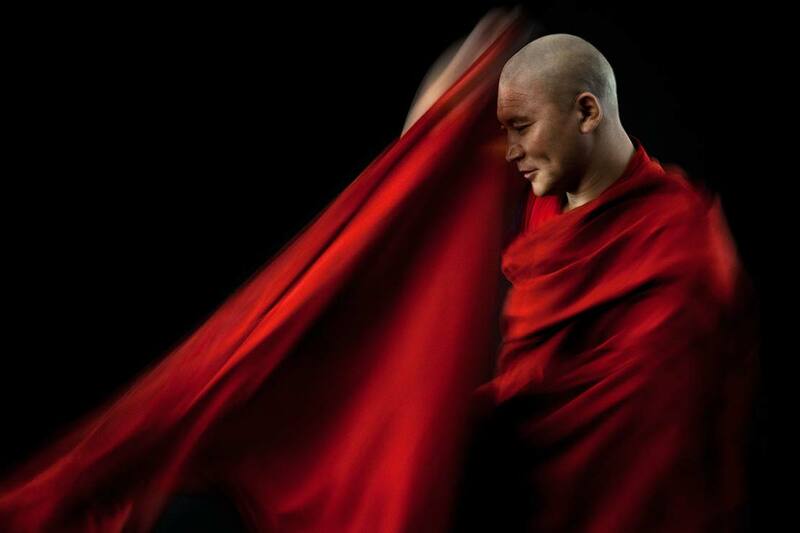 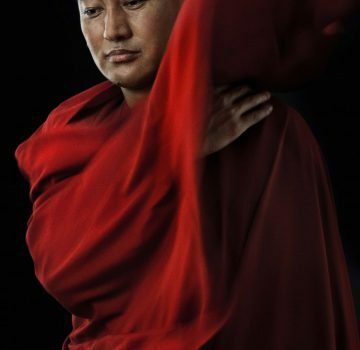 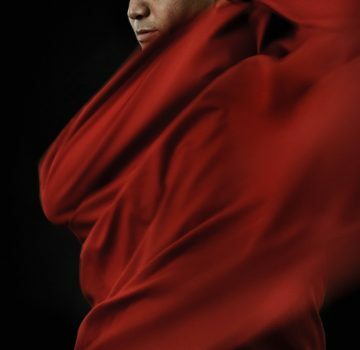 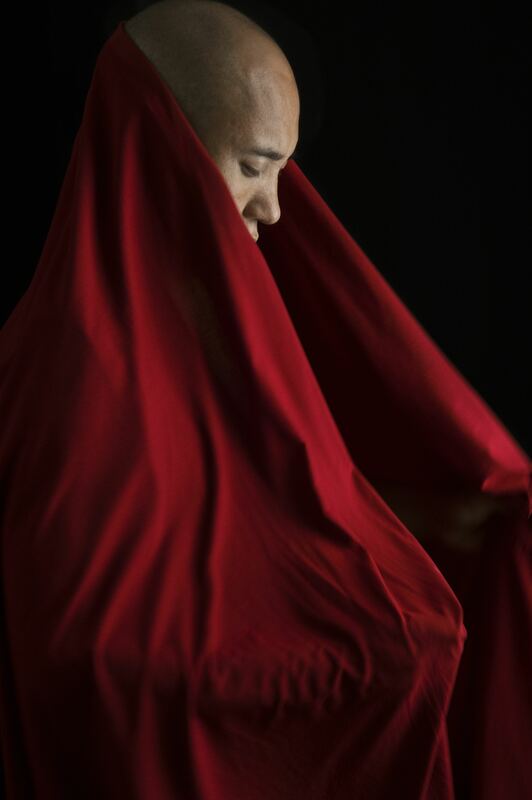 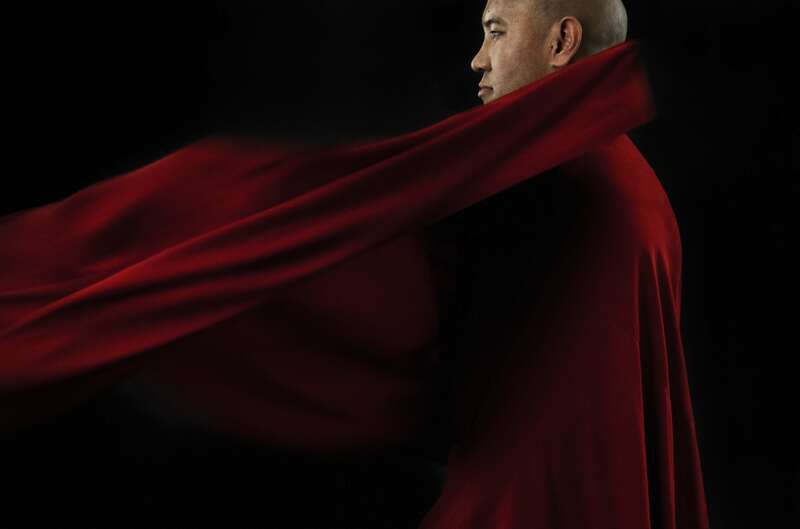 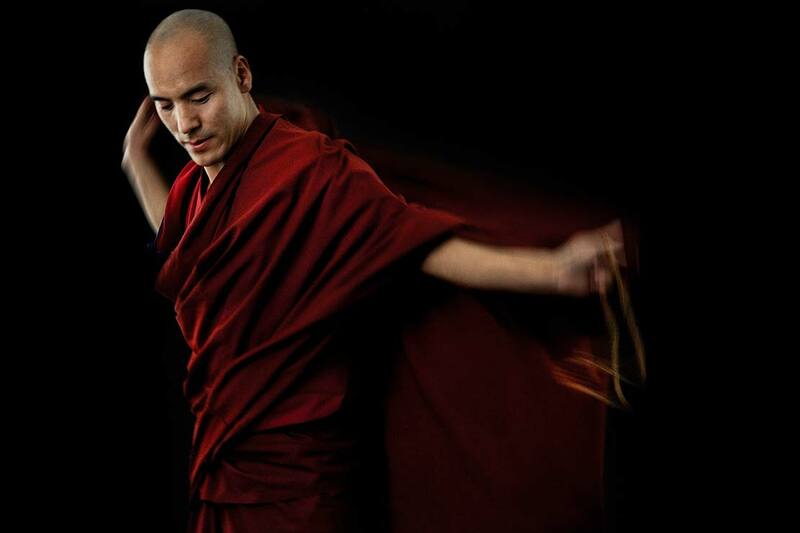 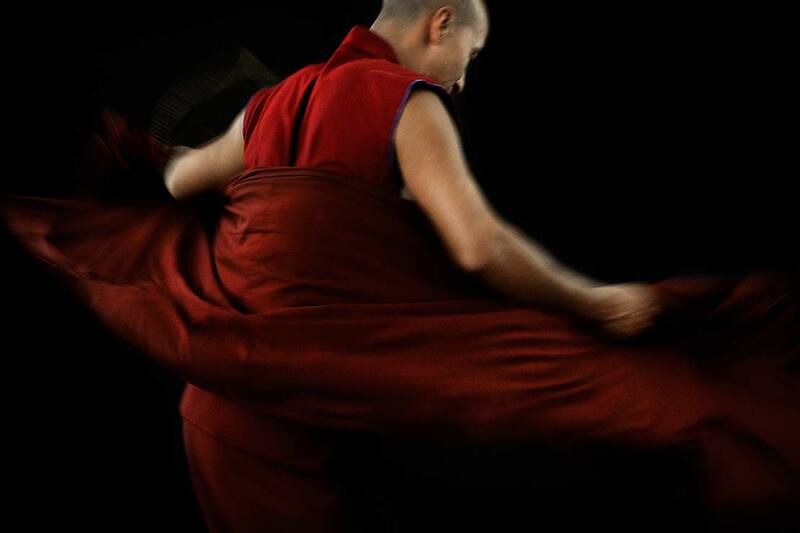 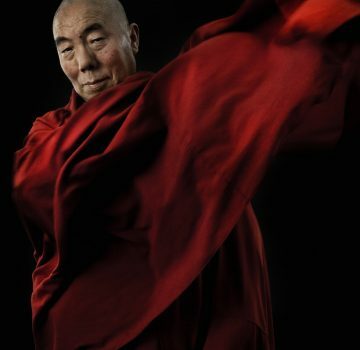 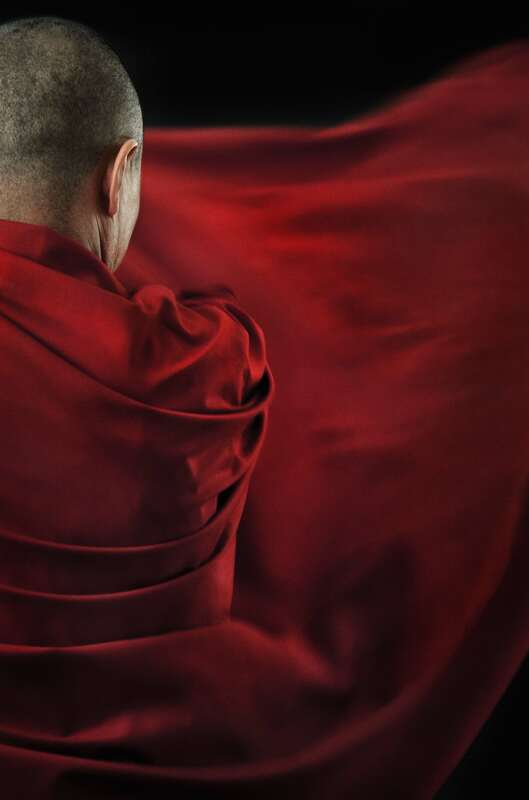 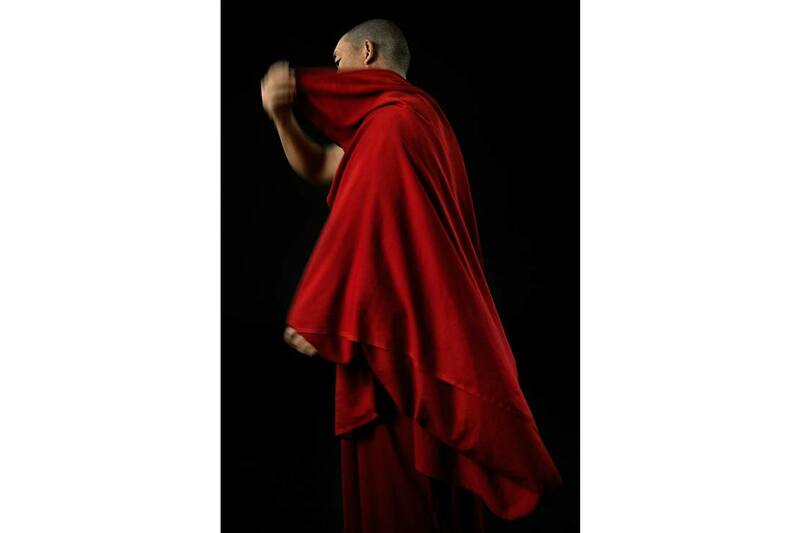 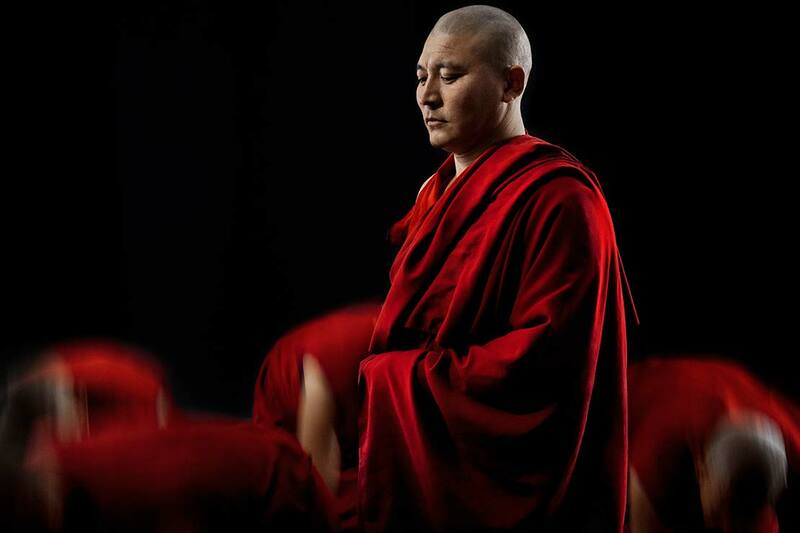 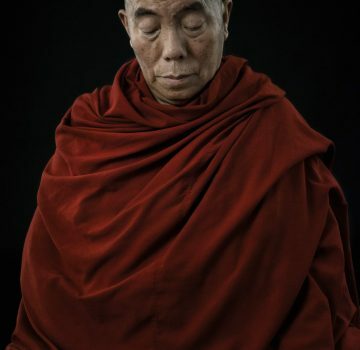 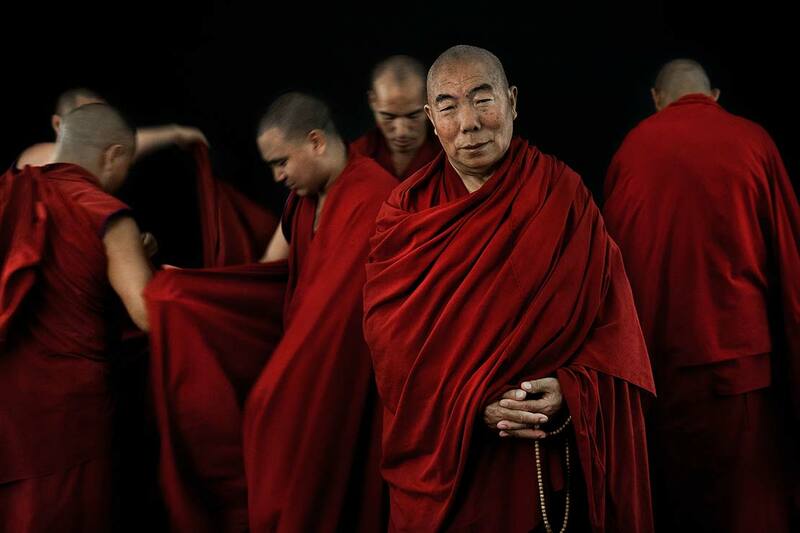 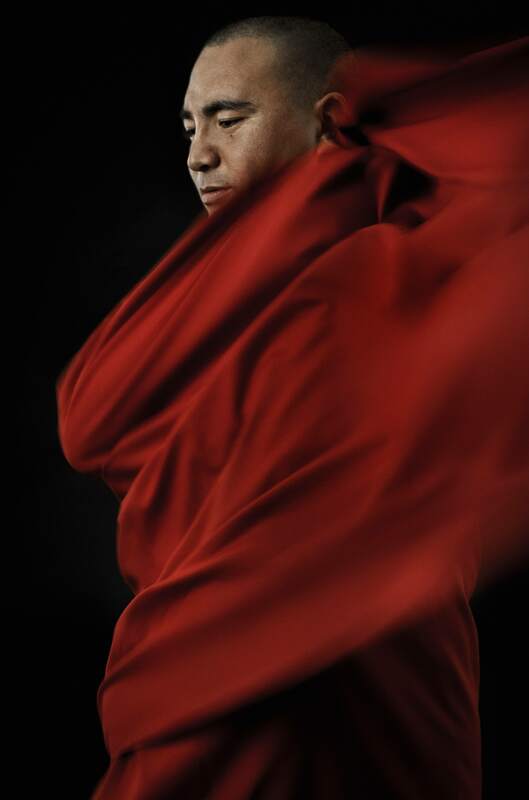 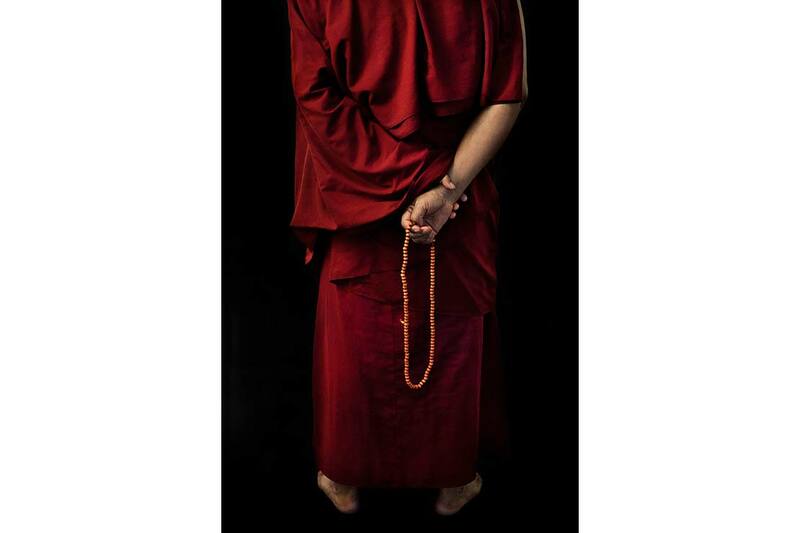 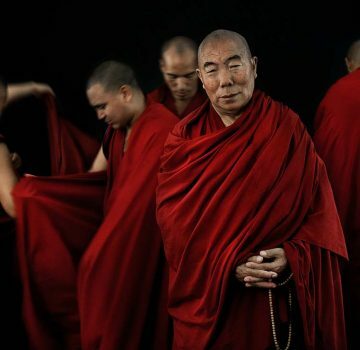 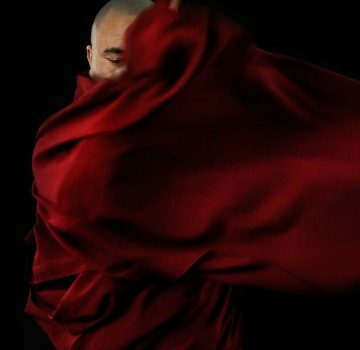 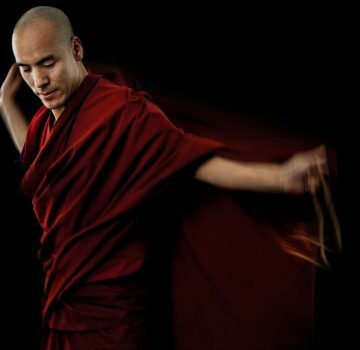 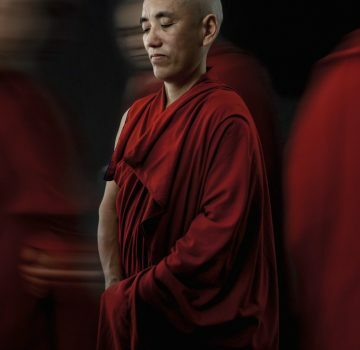 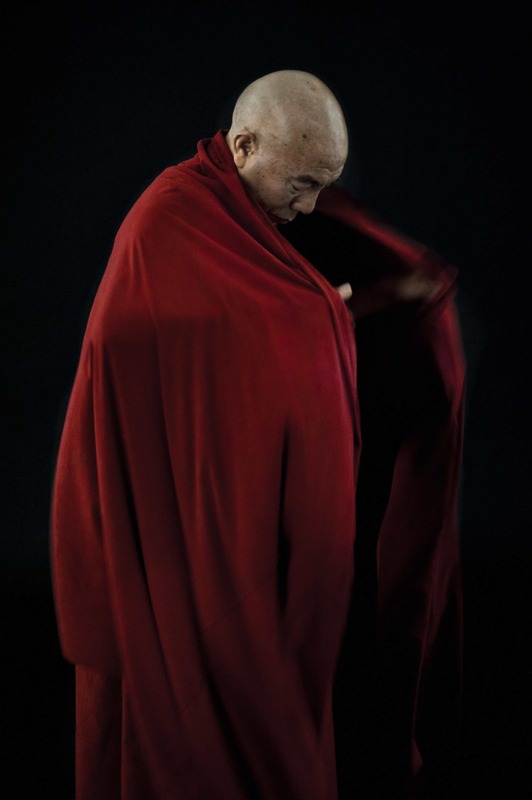 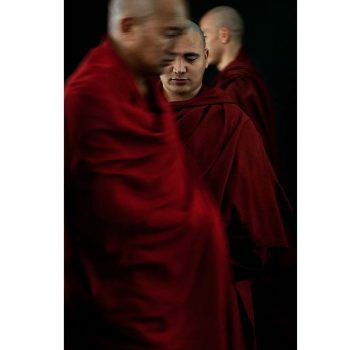 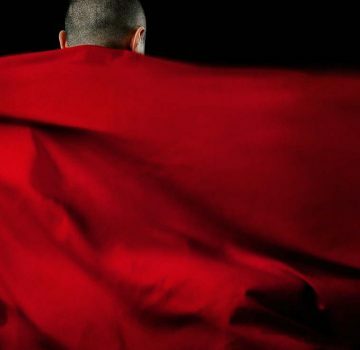 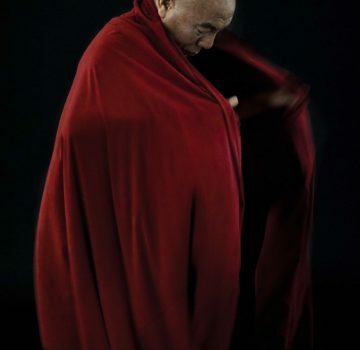 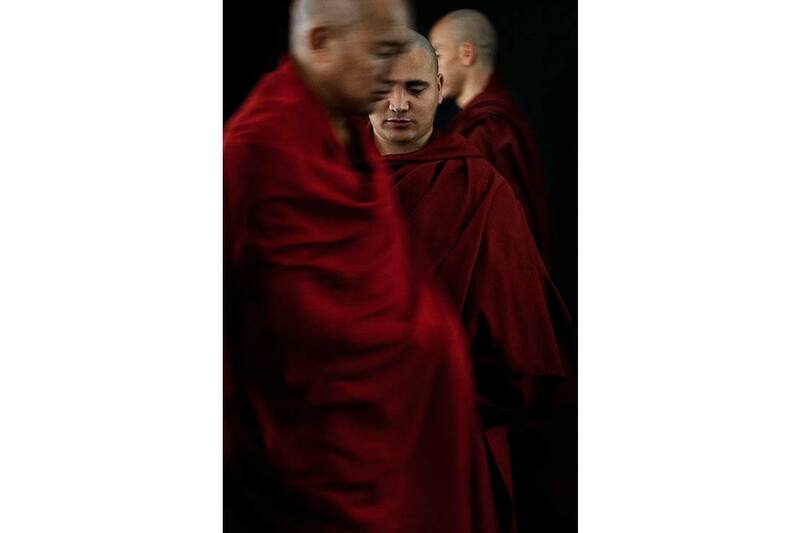 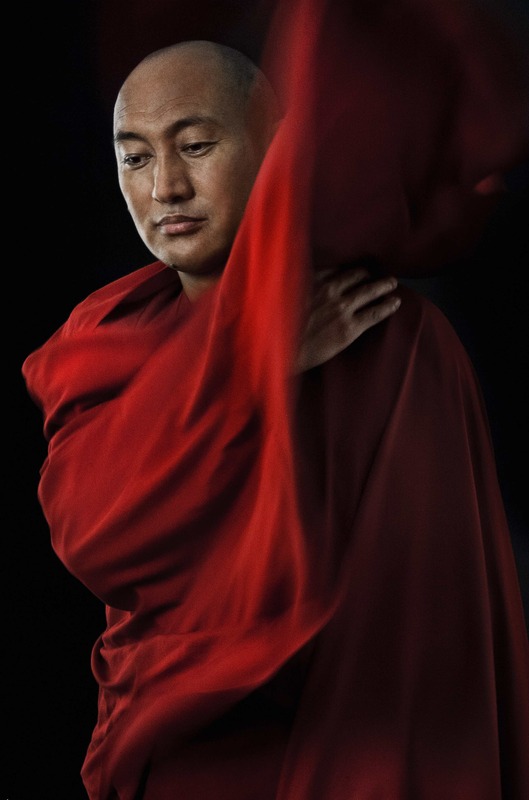 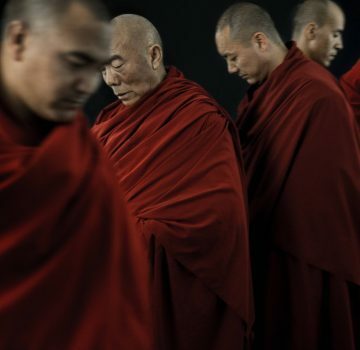 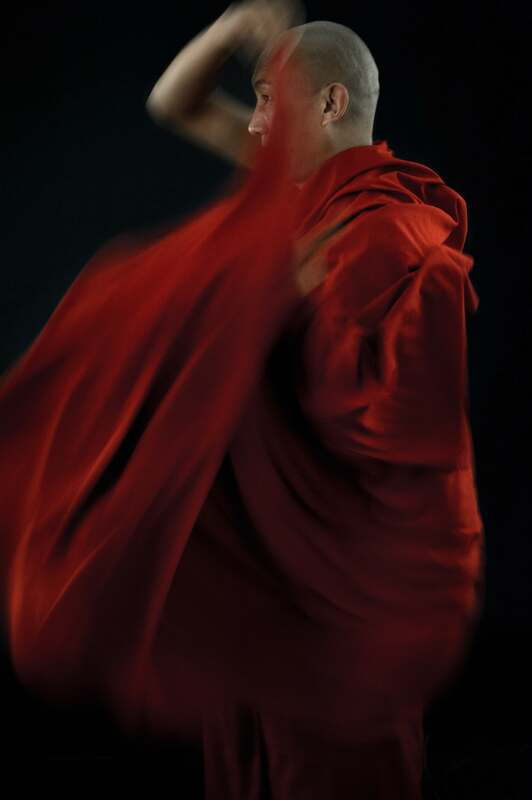 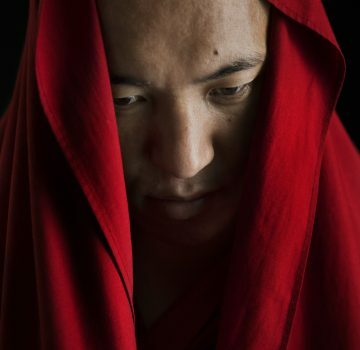 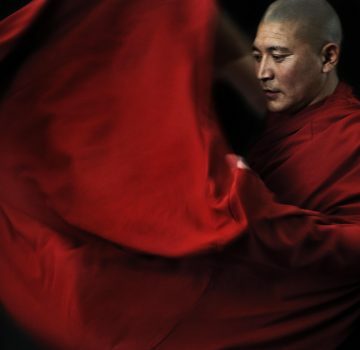 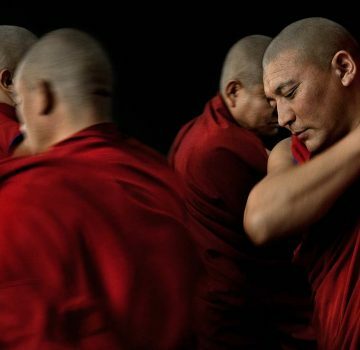 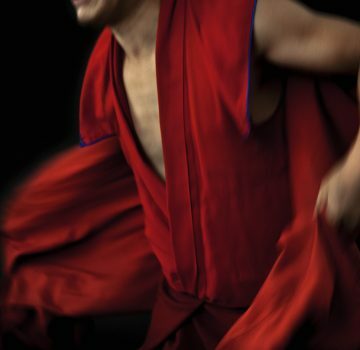 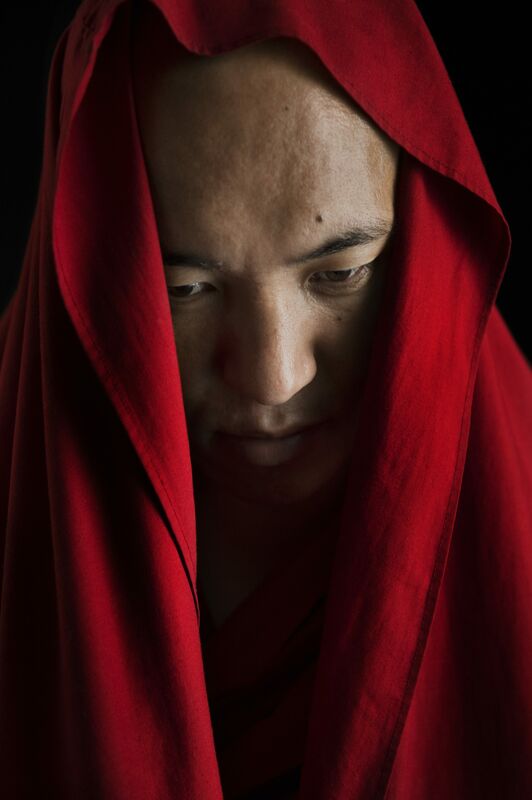 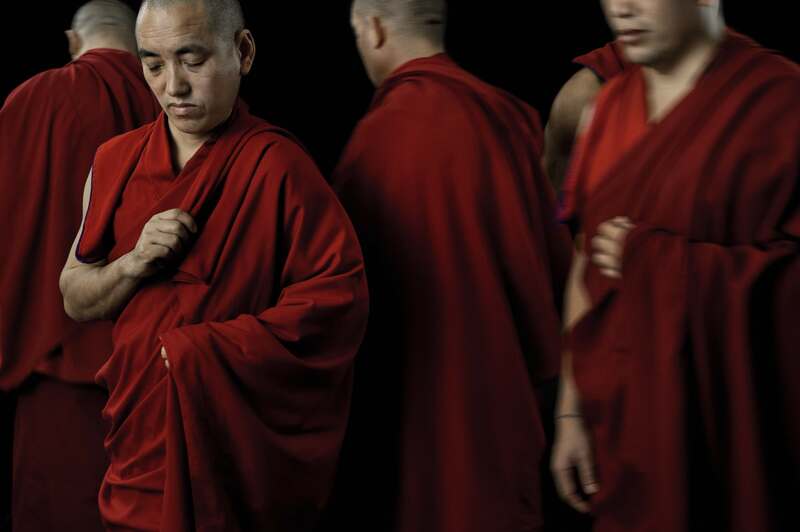 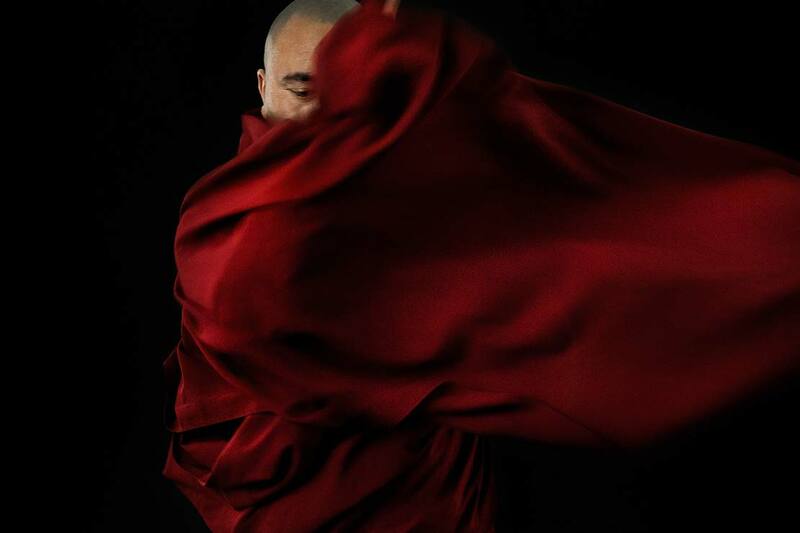 Gen Lama, the elder monk featured in many of the photos, has said that sees himself as merely a custodian of the robe rather than it being a possession of his.